Immersed in stunning nature with sweeping views of the hills surrounding Dominical, Costa Amor is a tropical oasis for those seeking an unforgettable vacation. With numerous outdoor attractions and the laid-back surf town Dominical just minutes away, you can find quiet and seclusion as easily as excitement and adventure. Couples seeking a getaway, families in search of relaxation and fun, and friends throwing festive gatherings or retreats will all feel at home in Costa Amor. This 3 bedroom, 3.5 bathrooms fully furnished luxury home sits on five acres of gorgeous Costa Rican hillside with cool, refreshing air and plenty of trails to explore. The property attracts incredible birds and wildlife thanks to the abundance of fruit trees, tropical plants, and flowers. From the garden, you can see the stunning Diamante Waterfall, one of the tallest waterfalls in Costa Rica. The main level of the home has cathedral ceilings and an open, spacious layout with large windows throughout. Thanks to the higher altitude temperatures are always comfortable and moderate and the ceiling fans in every room keep the air even cooler. A large deck wraps around the west side of the home overlooking the jungle canopy. Beside the deck is a large, shallow pool with a swim up bar and stools for sitting on, with a waterslide that plunges down into the deep pool below. Cooks will adore the enormous, fully equipped kitchen with a social breakfast bar beside the open dining room. The cozy living room has plenty of seating and an entertainment center with a 60” flat screen television, DVD player, large selection of DVDs, and a top of the line sound system. On the east side of the house is a large master bedroom with a king size bed and bathroom with full-size shower and an entrance leading out to the pool. On the west side is a double bedroom overlooking both the jungle and the pool, with two twin beds and plenty of dresser drawers, perfect for kids or friends. The downstairs feels like its own apartment with a large, fully equipped kitchen, living area, two bathrooms, and a bedroom that opens out to the lower pool. Wake up to see the sunrise over the mountains from your bedroom as toucans and parrots fly by. Spend the day exploring one of the nearby national parks, surfing world-class breaks, swimming in crystal pools beneath gushing waterfalls, or simply relaxing in Costa Amor’s pools and raging down the waterslide. 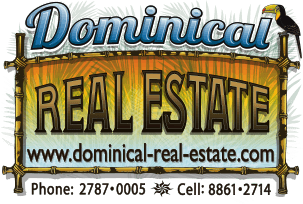 Nearby Dominical has a variety of delicious local and international restaurants or you can prepare a feast in the fully equipped kitchen and dine on the wrap around deck with gorgeous sunset views. This is a beautiful and fun villa in a great location, don't hesitate to reserve your stay today!